We’ve finally got a page up for In From The Cold, our November release of the best of Dave Morris’s work for White Dwarf magazine in the 1980sâ€”all lovingly retooled for Dragon Warriors. Some of the contents: complete information on Demonologists and how to create them as player-characters or vile NPCs; a new chapter of demons and another of demon-princes, and how to summon them. Ideas on how to use undead in your game without them becoming the tedious cannon-fodder they are in some other RPGs. 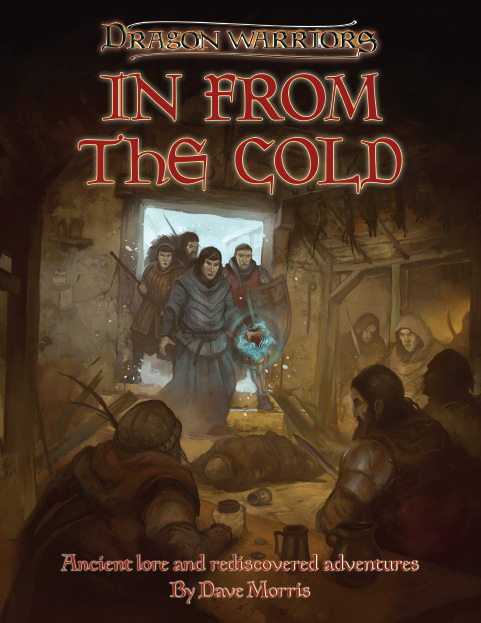 And loads of adventuresâ€”six in allâ€” including the much demanded ‘A Box of Old Bones’, now expanded with three new endings.